Professor Amritjit Singh is the co-editor of the recently released book, Revisiting India’s Partition: New Essays on Memory, Culture, and Politics (Lexington Books). The book’s publication anticipates the 70th anniversary next year of British India’s partition in 1947. Singh is the Langston Hughes Professor of English and African American Studies at Ohio University. Among many other awards, he received Ohio University’s Faculty Award for Excellence in Global Engagement in November 2014. 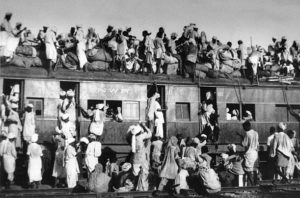 Revisiting India’s Partition is the result of over three years of work, starting with a one-day pre-conference the three editors organized as part of the Annual South Asia Conference in Madison, WI, in October 2013. 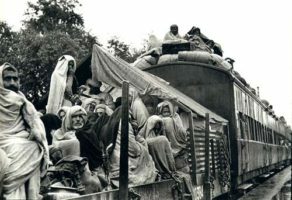 The continued prejudice, violence, and mistrust among groups of people displaced and affected by partition is, in part, the impetus behind this project accomplished with passion and careful attention by Singh and his two co-editors: Professor Nalini Iyer of Seattle University and Dr. Rahul K. Gairola of IIT-Roorkee, India. In giving shape to their 400-page volume, the editors employed as organizing principle Vazira Fazila-Yacoobali Zamindar’s notion of the “Long Partition,” which emphasizes the extensive, far-reaching consequences of partition in areas that are frequently overlooked or left unexamined. 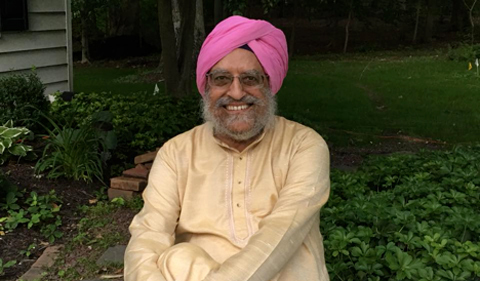 “Even today, no one is ready to look in the mirror and say, ‘I too am culpable.’ South Asians never did truth and reconciliation as South Africans did, no healing rituals,” says Singh in an interview in his Ellis Hall office, overflowing with books. “We are still bleeding with daily acts of violence and hatred, still coping with what happened in 1947 and again in 1971. Too many painful memories and new tragedies of sectarian violence. Either we are in denial, or we take shelter in a non-stop blame game,” continues Singh. He notes how the 19 original essays in the book explore the consequences of the Long Partition in nooks and corners of South Asia that have seldom been studied. The volume not only offers new readings of many literary and film texts associated with the partition, but it also covers topics never explored in this context. 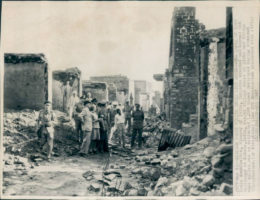 These topics include Sindh and Sindhis, the challenges of Kashmir, border and refugee issues in the Northeast, the Long Burma March of 1941, the impact of partition on South India including the “police action” in Hyderabad and on post-colonial politics in Pakistan and Bangladesh, as well as the recasting of partition narratives in commercials by Google and Coca-Cola. The editors hope their work will help to generate new conversations and perspectives not just in partition and South Asian Studies, but also in relation to patterns of violence and unresolved border disputes throughout the world. Revisiting covers a wide range of topics and will likely serve the research needs and interests of a wide array of scholars and students. Singh hopes that the book will help combat the erasure of cultural tragedies like genocide and displacement, especially for historically marginalized peoples. Professor Kaiser Haq, a well-known Bangladeshi poet and literary scholar who is also a volume contributor, puts it well in his email message to the editors: “I salute you three for putting together an anthology that will surely inspire further thoughts on the most tragic event in modern South Asian history. I admire your determination and intellectual and editorial stamina.” The blurbs on the book’s back cover by Professors Suvir Kaul, John C. Hawley, and Alok Bhalla signal the book’s potential to transform Partition Studies for years to come. Complements to the three editors, especially to Professor Amritjit Singh. who has been a driving force behind the idea of such a book. In our times, bloodied and torn, the book may well provoke a reasoned reflection on what has troubled the age since the demise of empires. I see a strong spirit behind this great writing Revisiting India”s Partition by Dr Amritjit Singh and his Co-editors .The partition not only brought about death by cold blooded slot her of over a million innocent lives but has caused innumerable miseries and an unending hatred on sectarian lines in the region .I hope that this book is well circulated among a vast population of India ,Pakistan and Bangladesh to ponder over the past horror and bring human , loving and congenial environments of reconciliation . Congratulations, Prof. Amarjeet Singh’ji. Looking forward to reading it. Thanks. My coeditors would welcome your feedback. your book. I am sure yours will be very interesting book to read. this is one book I look forward to reading. Going by the information made available, I have no doubt that Amritjit Singh and his team have done a splendid job.